Until the end of the 1960s Palestinian space in Israel was pretty much neglected by the government and left to the processes of urban disintegration. 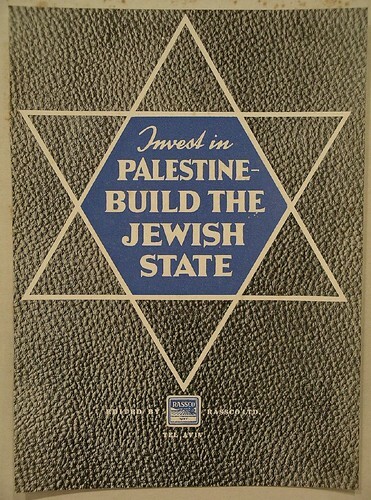 With the realisation of the high value of real estate, coupled with a growing interest of national-religious settlers to reinstate the Jewish character of the “mixed cities” in Israel, the Palestinian residents of places like Jaffa, Lydda, and Acre came under increasing threat to loose their homes and be displaced once again. Acre was formerly a predominantly Palestinian town of approximately 15,000 inhabitants. During the war of 1948 the city was almost completely depopulated, except for some 3,000 Palestinians who sought shelter in the old city and remained there. Shortly after, large waves of newly arrived Jewish immigrants mainly from Arab countries were called upon to settle down in the abandoned buildings, and like in other mixed cities, transformed Acre into a predominantly Jewish town. By now Palestinian citizens make up around 30% of the 53,000 inhabitants, yet in the old city, declared by UNESCO a World Heritage Site in 2001, they still constitute a 100% majority. Yet, as we will see in the following article the Palestinian presence here is also increasingly challenged by the twin forces of Jewish investors/gentrifiers and the settler movement. In 1967 the Israeli government established the Old Acre Development Company with the goal of “rebranding” the old city of Acre. Obviously, the relatively impoverished Palestinian residents are viewed as an obstacle on the path of transforming the old city into a picturesque tourist site and therefore increasing efforts started to be channelled into having them removed. Due to Israel's Absentee Property Law, which stipulates that all land abandoned by Palestinian refugees in 1948 should be passed into the control of the Israeli government, 95% of the residents in Acre's old city do not own their homes, but rent them from a government company called Amidar. Amidar imposes severe restrictions on renovations or any other alterations of the buildings, and is quick to use any violation of those rules as a pretext to evict the residents. While Amidar uses a variety of methods to oust the Palestinian residents are from the old city, the company keeps on selling more and more property to Jewish Israeli investors without even notifying Palestinians of the tenders. Many of those buildings are of historical value, such as the Efendi Palace, which has already been transformed into a luxurious boutique hotel. Even the Khan al-Umdan, also known as the “Caravanserai of the Pillars”, the largest and best preserved khans in the region, was offered for development as hotel and commercial space. Until then the khan was used communally by Palestinian residents as a cultural space for festivals and children summer camps. 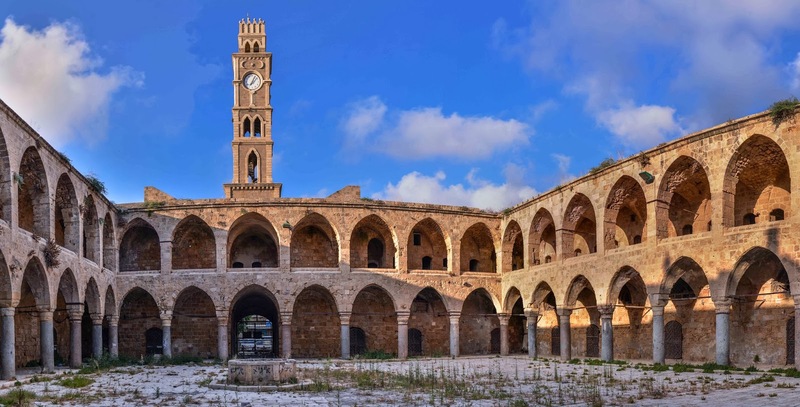 Fortunately, a neighbourhood association, which set out to fight the discriminatory sellout of the old city of Acre, recently achieved a victory in court and managed to halt the tendering process. Yet as the association's lawyer Nora Ashqar stated, the threat to the Khan al-Umdan had been just one example of a wider trend of Israeli gentrification in the city. During the past two decades West Bank settler movements started engaging in programmes to "reclaim" mixed cities, such as Jaffa, Lydda, Ramle and also Acre, in order to strengthen the “Jewish character” of those cities. In Acre specifically those settlers were spearheaded by a movement called "Ometz" ("courage"), considered to be the driving force behind the radical settlers in Hebron. Settling down in Acre in 1997, “Ometz” has been exploiting the economic hardship of the Jewish population of Acre in order to mobilise them against the Palestinian population. Ometz is reportedly supported by Acre's chief Rabbi who sees “the creeping Arab occupation” of the city as “the real problem”. He talks about Arab conspiracies of conquering the city from the Jews, and -subconsciously or not - projects the very Jewish settler pattern upon the Palestinian residents. Ometz was soon joined by more national-religious Jews who in 2003 opened the Yeshiva “Northern Wind” and demanded that the Jewish [sic!] city of Acre needs to be returned to its former glory. 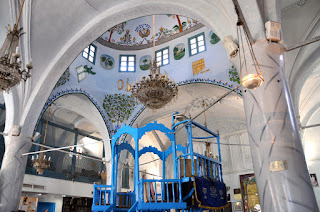 Northern Wind is mainly engaged in missionary work, and in Judaising the Jewish residents of Acre; its activists even operate a “Jewish Route” through the old city, a guided tour, which omits everything but the Jewish history of a town, whose history goes back to the Bronze Age. Finally in 2008 the situation escalated during the high Jewish holiday of Yom Kippur. 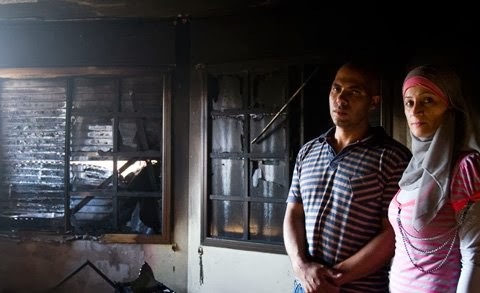 After a Palestinian resident of Acre was spotted driving his car (which is legally forbidden on Yom Kippur), he was fiercely attacked by a group of Jewish youth and could only barely escape by seeking shelter in a relative's home, which was thereafter besieged by the rioting youth. After the holiday ended an estimated number of 1,500 Jewish rioters started rampaging the streets of mixed neighbourhoods of the city, attacking Palestinian cars and passers-by, and shouting slogans like “Death to Arabs”. Although the Palestinian who drove the car officially apologised for disregarding the prohibition on driving on the high holiday, the riots continued for days and a number of Palestinian homes were set on fire. While the Israeli authorities failed to contain the riot or to protect the Palestinian citizens, Amidar and the the Acre municipality took advantage of the situation and turned the temporary evacuation of Palestinian families into actual evictions and tried to settle Jewish families in their homes. Out of 14 Palestinian families, that had to flee the violence, only three reportedly managed to return to their homes. Sadly, the hardship of Acre's Palestinian community is not unique at all, and the twin forces of Jewish investors and radical settlers, supported by government bodies, also operate in other mixed cities, such as Jaffa and Haifa.